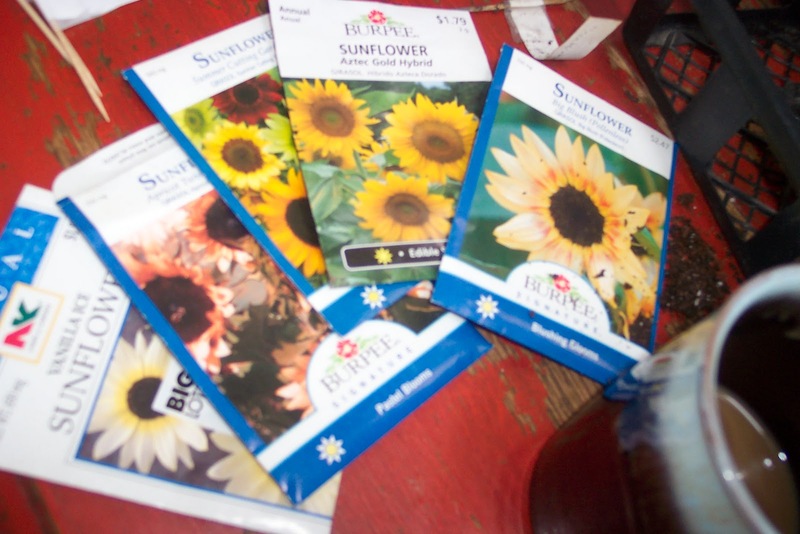 Strapping Young Lad and I took over our orange kitchen table, and planted the sunflowers for this year's Sunflower House. And I mail-ordered some morning glories and sweet peas to complete the house, so we're waiting on those. This, all in hopes of avoiding the foibles and follies of last year's less-than-perfect Sunflower House. Days and days is a very long time, for a young fellow who is anxiously awaiting the first seed to sprout. PS After composing this post, Hubby informed me that the Sunflower's might not transplant well...oops. I guess we'll just find out... 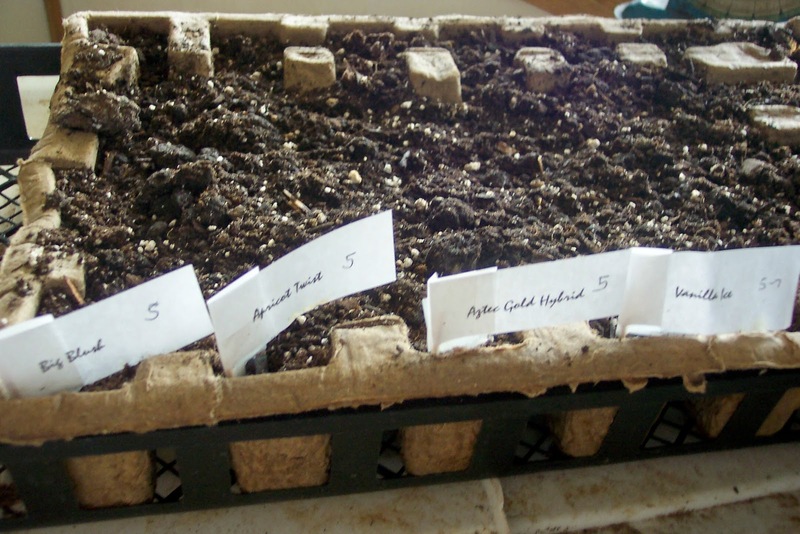 But most of the pleasure in planting them inside first, is for Strapping Young Lad to marvel at the seedlings popping up. 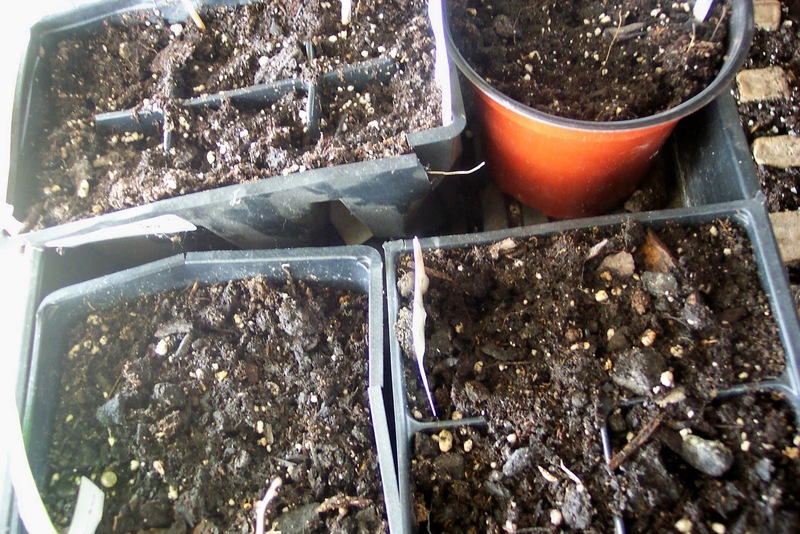 Some of your sunflowers will transplant ok...some of them may get too stringy though. Got a grow light? That might help prevent them from getting too tall and weak. Good luck! thanks, Beth. Some ARE a bit stringy, but we'll soldier on. I have to say, it's worth it though b/c they grow so much in one day and SYL has been enjoying it immensely.